The History of Hong Kong, a business port located off the south-east coast of China. Archaeological findings suggest that the region has been inhabited since the Old Stone Age, and later with its loose incorporation into the Chinese empire during the Qin dynasty (221–206 BC). Starting out as a farming fishing village and salt production site, Hong Kong later evolved into an important free port and eventually a major international financial centre. Archaeological findings suggesting human activity in Hong Kong date back over 30,000 years. Stone tools from the Old Stone Age have been excavated in Sai Kung in Wong Tei Tung. The stone tools found in Sai Kung were perhaps from a stone tool making ground. Religious carvings on outlying islands and coastal areas have also been found, possibly related to She people in the Neolithic. The latest findings dating from the Palaeolithic suggest that Wong Tei Tung (黃地峒) is one of the most ancient settlements in Hong Kong. The territory that now comprises Hong Kong was loosely part of China during the Qin dynasty (221–206 BC), and the area was part of the ancient kingdom of Nanyue (203–111 BC). During the Qin dynasty, the territory was governed by Panyu County until the time of the Jin dynasty. Archaeological evidence indicates that the population increased during the Han dynasty (206 BC – AD 220). In the 1950s, the tomb at Lei Cheng Uk from the Eastern Han dynasty (25–220 AD) was excavated and archaeologists began to investigate the possibility that salt production flourished in Hong Kong around 2000 years ago, although conclusive evidence has not been found. Tai Po Hoi, the sea of Tai Po, was a major pearl hunting harbour in China from the Han dynasty through to the Ming dynasty (1368–1644), with activities peaking during the Southern Han (917–971). During the Jin dynasty until the early Tang dynasty, Hong Kong was governed by Bao'an County. Under the Tang dynasty, the Guangdong region flourished as an international trading centre. The Tuen Mun region in what is now Hong Kong's New Territories served as a port, naval base, salt production centre and later as a base for the exploitation of pearls. Lantau Island was also a salt production centre, where riots by salt smugglers against the government broke out. From the middle of the Tang dynasty until the Ming dynasty, Hong Kong was governed by Dongguan County. In 1276, during the Mongol invasion, the Southern Song dynasty court moved to Fujian, then to Lantau Island and later to today's Kowloon City. Emperor Huaizong of Song, the last Song Dynasty emperor, was enthroned at Mui Wo on Lantau Island on 10 May 1278 at the age of eight. This event is commemorated by the Sung Wong Toi in Kowloon. After his defeat at the Battle of Yamen on 19 March 1279, the child emperor committed suicide by drowning with his officials at Mount Ya (modern Yamen Town in Guangdong). Tung Chung valley, named after a hero who gave up his life for the emperor, is believed to have been one of the locations for his court. Hau Wong, an official of the emperor, is still worshipped in Hong Kong today. During the Mongol period, Hong Kong saw its first population boom as Chinese refugees entered the area. Many refugees were driven by war and famine. Others arrived seeking employment. The five clans of Hau, Tang, Pang and Liu and Man were Chinese from Guangdong, Fujian and Jiangxi who lived mostly in the New Territories and eventually became Punti speakers. Despite the immigration and sparse development of agriculture, the area was hilly and relatively barren. People had to rely on salt, pearl and fishery trades to produce income. Some clans built walled villages to protect themselves from the threat of bandits, rival clans and wild animals. The Qing-dynasty Chinese pirate Cheung Po Tsai became a legend in Hong Kong. During the Ming dynasty, Hong Kong was administered by Xin'an County. During the Qing dynasty, Hong Kong remained under the governance of Xin'an County, before it was colonised by the British. As a military outpost and trading port, Hong Kong's territory gained the attention of the world. After the Great Clearance policy, ordered by the Kangxi Emperor, many Hakka people migrated from inland China to Xin'an County, which included modern Hong Kong. Before the British government colonised the New Territories and New Kowloon in 1898, Punti, Hakka, Tanka and Hokkien people had migrated to and stayed in Hong Kong for many years. They are the indigenous inhabitants of Hong Kong. The Punti and Hokkien lived in the New Territories while the Tanka and Hakka lived both in the New Territories and Hong Kong Island. British reports on Hong Kong described the Tanka and Hoklo living in Hong Kong "since time unknown". The Encyclopaedia Americana described Hoklo and Tanka as living in Hong Kong "since prehistoric times". When the union flag was raised over Possession Point on 26 January 1841, the population of Hong Kong island was about 7,450, mostly Tanka fishermen and Hakka charcoal burners living in a number of coastal villages. In the 1850s large numbers of Chinese would emigrate from China to Hong Kong due to the Taiping Rebellion. Other events such as floods, typhoons and famine in mainland China would also play a role in establishing Hong Kong as a place to escape the mayhem. Preliminary cession of Hong Kong Island to the United Kingdom Included Green Island and Ap Lei Chau. Before the cession of Hong Kong Island, this territory was governed by Xin'an County . Cession of Kowloon South of Boundary Street, including Ngong Shuen Chau. Before the cession of Kowloon Peninsula, this territory was governed by Xin'an County. (Convention for the Extension of Hong Kong Territory) Lease of the New Territories South of the Shenzhen River in Xin'an County, including New Kowloon, Lantau and outlying islands. By the early 19th century, the British Empire trade was heavily dependent upon the importation of tea from China. While the British exported to China luxury items like clocks and watches, there remained an overwhelming imbalance in trade. China developed a strong demand for silver, which was a difficult commodity for the British to come by in large quantities. The counterbalance of trade came with exports of opium to China, opium being legal in Britain and grown in significant quantities in the UK and later in far greater quantities in India. A Chinese commissioner Lin Zexu voiced to Queen Victoria the Qing state's opposition to the opium trade. The First Opium War which ensued lasted from 1839 to 1842. Britain occupied the island of Hong Kong on 25 January 1841 and used it as a military staging point. China was defeated and was forced to cede Hong Kong to Britain in the Treaty of Nanking signed on 29 August 1842. Hong Kong became a Crown Colony of the British Empire. Christian missionaries founded many schools and churches in Hong Kong. St Stephen's Anglican Church located in West Point was founded by the Church Mission Society in 1865. Ying Wa Girls' School located in Mid-levels was founded by the London Missionary Society in 1900. The Hong Kong College of Medicine for Chinese was founded by the London Missionary Society in 1887, and Sun Yat-sen was one of its first two graduates in 1892. The college was the forerunner of the School of Medicine of the University of Hong Kong, which was established in 1911. Along with fellow students Yeung Hok-ling, Chan Siu-bak and Yau Lit, Sun Yat-sen started to promote the thought of overthrowing the Qing empire while he studied in the Hong Kong College of Medicine for Chinese. The four students were known by the Qing as the Four Bandits. Sun attended To Tsai Church (道濟會堂, founded by the London Missionary Society in 1888) while he studied in this College. Sun led the Chinese Revolution of 1911, which changed China from an empire to a republic. In April 1899, the residents of Kam Tin rebelled against the colonial government. They defended themselves in Kat Hing Wai, a walled village. After several unsuccessful attacks by the British troops, the iron gate was blasted open. The gate was then shipped to London for exhibition. Under the demand of the Tang clan in 1924, the gate was eventually returned in 1925 by the 16th governor, Sir Reginald Stubbs. Soon after the first gas company in 1862 came the first electric company in 1890. Rickshaws gave way to buses, ferries, trams and airlines. Every industry went through major transformation and growth. Western-style education made advances through the efforts of Frederick Stewart. This was a crucial step in separating Hong Kong from mainland China during the political turmoil associated with the falling Qing dynasty. The seeds of the future financial city were sown with the first large scale bank. The Third Pandemic of Bubonic Plague attacked Hong Kong in 1894. It provided the pretext for racial zoning with the creation of Peak Reservation Ordinance and recognising the importance of the first hospital. On the outbreak of World War I in 1914, fear of a possible attack on the colony led to an exodus of 60,000 Chinese. However, Hong Kong's population continued to boom in the following decades from 530,000 in 1916 to 725,000 in 1925. Nonetheless the crisis in mainland China in the 1920s and 1930s left Hong Kong vulnerable to a strategic invasion from Imperial Japan. During the second half of the 19th century the British had grown increasingly worried about the security of their free port at Hong Kong. It was an isolated island, surrounded by areas still under Chinese control. The British decided the answer would be to lease a buffer zone around Hong Kong that would make the island less vulnerable to invasion. In 1860, at the end of the Second Opium War, the UK gained a perpetual lease over the Kowloon Peninsula, which is the mainland Chinese area just across the strait from Hong Kong Island. This agreement was part of the Convention of Beijing that ended that conflict. 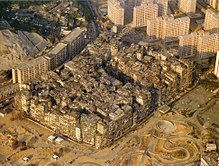 By 1990, the Kowloon Walled City contained 50,000 residents within its 2.6-hectare (6.4-acre) borders. In 1898, the British and Chinese governments signed the Second Convention of Peking, which included a 99-year lease agreement for the islands surrounding Hong Kong, called the "New Territories." The lease awarded control of more than 200 surrounding small islands to the British. In return, China got a promise that the islands would be returned to it after 99 years. On December 19, 1984, British Prime Minister Margaret Thatcher and Chinese Premier Zhao Ziyang signed the Sino-British Joint Declaration, in which Britain agreed to return not only the New Territories but also Kowloon and Hong Kong itself when the lease term expired. China promised to implement a "One Country, Two Systems" regime, under which for fifty years Hong Kong citizens could continue to practice capitalism and political freedoms forbidden on the mainland. So, on July 1, 1997, the lease ended and the government of Great Britain transferred control of Hong Kong and surrounding territories to the People's Republic of China. Hong Kong was occupied by Japan from 23 December 1941 to 15 August 1945. The period, called '3 years and 8 months' halted the economy. The British, Canadians, Indians and the Hong Kong Volunteer Defence Forces resisted the Japanese invasion commanded by Sakai Takashi which started on 8 December 1941, eight hours after the attack on Pearl Harbor. 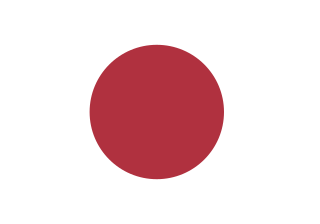 Japan achieved air superiority on the first day of battle and the defensive forces were outnumbered. The British and the Indians retreated from the Gin Drinker's Line and consequently from Kowloon under heavy aerial bombardment and artillery barrage. Fierce fighting continued on Hong Kong Island; the only reservoir was lost. Canadian Winnipeg Grenadiers fought at the crucial Wong Nai Chong Gap, which was the passage between the north and the secluded southern parts of the island. 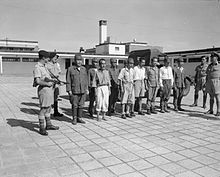 On 25 December 1941, referred to as Black Christmas by locals, British colonial officials headed by the Governor of Hong Kong, Mark Aitchison Young, surrendered in person at the Japanese headquarters on the third floor of the Peninsula Hotel. Isogai Rensuke became the first Japanese governor of Hong Kong. During the Japanese occupation, hyper-inflation and food rationing became the norm of daily lives. It became unlawful to own Hong Kong Dollars, which were replaced by the Japanese Military Yen, a currency without reserves issued by the Imperial Japanese Army administration. Although there is a lack of testimonial evidence from the female victims of Hong Kong, according to some eyewitnesses thousands of females could have been raped.. During the three and half years of occupation by the Japanese. An estimated 10,000 Hong Kong civilians were executed, while many others were tortured, raped, or mutilated. Philip Snow, a prominent historian of the period, said that the Japanese cut rations for civilians to conserve food for soldiers, usually to starvation levels and deported many to famine- and disease-ridden areas of the mainland. Most of the repatriated had come to Hong Kong just a few years earlier to flee the terror of the Second Sino-Japanese War in mainland China. By the end of the war in 1945, Hong Kong had been liberated by joint British and Chinese troops. The population of Hong Kong had shrunk to 600,000; less than half of the pre-war population of 1.6 million due to scarcity of food and emigration. The communist revolution in China in 1949 led to another population boom in Hong Kong. Thousands of refugees emigrated from mainland China to Hong Kong, and made it an important entrepôt until the United Nations ordered a trade embargo on mainland China due to the Korean War. More refugees came during the Great Leap Forward. After the Second World War, the trend of decolonization swept across the world. Still, Britain chose to keep Hong Kong for strategic reasons. In order to consolidate its rule, constitutional changes, the Young Plan, were proposed in response to the trend of decolonization so as to meet the needs of the people. The political and institutional system made only minimal changes due to the political instability in Mainland China at that time (aforementioned) which caused an influx of mainland residents to Hong Kong. Skills and capital brought by refugees of Mainland China, especially from Shanghai, along with a vast pool of cheap labour helped revive the economy. At the same time, many foreign firms relocated their offices from Shanghai to Hong Kong. Enjoying unprecedented growth, Hong Kong transformed from a territory of entrepôt trade to one of industry and manufacturing. The early industrial centres, where many of the workers spent the majority of their days, turned out anything that could be produced with small space from buttons, artificial flowers, umbrellas, textile, enamelware, footwear to plastics. Large squatter camps developed throughout the territory providing homes for the massive and growing number of immigrants. The camps, however, posed a fire and health hazard, leading to disasters like the Shek Kip Mei fire. Governor Alexander Grantham responded with a "multi storey buildings" plan as a standard. It was the beginning of the high rise buildings. Conditions in public housing were very basic with several families sharing communal cooking facilities. Other aspects of life changed as traditional Cantonese opera gave way to big screen cinemas. The tourism industry began to formalise. North Point was known as "Little Shanghai" (小上海), since in the minds of many, it had already become the replacement for the surrendered Shanghai in China. The manufacturing industry opened a new decade employing large sections of the population. The period is considered a turning point for Hong Kong's economy. The construction business was also revamped with new detailed guidelines for the first time since World War II. While Hong Kong started out with a low GDP, it used the textile industry as the foundation to boost the economy. China's cultural revolution put Hong Kong on a new political stage. Events like the 1967 riot filled the streets with home-made bombs and chaos. Bomb disposal experts from the police and the British military defused as many as 8,000 home-made bombs. One in every eight bombs was genuine. The 1970s saw the extension of government subsidised education from six years to nine years and the setup of Hong Kong's country parks system. The opening of the mainland Chinese market and rising salaries drove many manufacturers north. Hong Kong consolidated its position as a commercial and tourism centre in Asia. High life expectancy, literacy, per-capita income and other socio-economic measures attest to Hong Kong's achievements over the last four decades of the 20th century. Higher income also led to the introduction of the first high-rise, private housing estates with Taikoo Shing. From this time, people's homes became part of Hong Kong's skyline and scenery. In 1974, Murray McLehose founded the ICAC, the Independent Commission Against Corruption, in order to combat corruption within the police force. The corruption was so widespread that a mass police petition took place resisting prosecutions. Despite early opposition to the ICAC by the police force, Hong Kong was successful in its anti-corruption efforts, eventually becoming one of the least corrupt societies in the world. The early 1970s saw legislation requiring equal pay and benefits for equal work by men and women, including the right for married women to be permanent employees. In 1982, the British Prime Minister, Margaret Thatcher, hoped that the increasing openness of the PRC government and the economic reform in the mainland would allow the continuation of British rule. The resulting meeting led to the signing of Sino-British Joint Declaration and the proposal of the One country, two systems concept by Deng Xiaoping. Political news dominated the media, while real estate took a major upswing. The financial world was also rattled by panics, leading to waves of policy changes and Black Saturday. Meanwhile, Hong Kong was now recognised as one of the wealthiest representatives of the far east. At the same time, the warnings of the 1997 handover raised emigration statistics to historic highs. Many left Hong Kong for the United States, Canada, the United Kingdom, Australia, Japan, and anywhere else in the world without any communist influence. Hong Kong's Cinema enjoyed one paramount run that put it on the international map. Some of the biggest names included Jackie Chan and Chow Yun-fat. The music world also saw a new group of cantopop stars like Anita Mui and Leslie Cheung. On 4 April 1990, the Hong Kong Basic Law was officially accepted as the mini-constitution of the Hong Kong SAR after the handover. The pro-Beijing bloc welcomed the Basic Law, calling it the most democratic legal system to ever exist in the PRC. The pro-democratic bloc criticised it as not democratic enough. In July 1992, Chris Patten was appointed as the last British Governor of Hong Kong. Patten had been Chairman of the Conservative Party in the UK until he lost his parliamentary seat in the general election earlier that year. Relations with the PRC government in Beijing became increasingly strained, as Patten introduced democratic reforms that increased the number of elected members in the Legislative Council. The PRC government viewed this as a breach of the Basic Law. On 1 July 1997, Hong Kong was handed over to the People's Republic of China by the United Kingdom. The old Legislative Council, elected under Chris Patten's reforms, was replaced by the Provisional Legislative Council elected by a selection committee whose members were appointed by the PRC government. Tung Chee Hwa assumed duty as the first Chief Executive of Hong Kong, elected in December by a selection committee with members appointed by the PRC government. He immediately reappointed the entire team of policy secretaries, guaranteeing significant continuity. The long-held British practice of no general elections by HK citizens remains unchanged. English is still taught in all schools. However, many schools teach in Cantonese and English. The border with the mainland continues to be patrolled as before. Hong Kong remains an individual member of various international organizations, such as the IOC, APEC and WTO. Hong Kong continues to negotiate and maintain its own aviation bilateral treaties with foreign countries and territories. Flights between Hong Kong and China mainland are treated as international flights (although commonly known as inter-territorial flights in China mainland). It continues to have more political freedoms than the mainland China, including freedom of the press. Motor vehicles in Hong Kong, unlike those in mainland China, continue to drive on the left. The last country or region to ever switch from left-hand traffic to right-hand traffic was Ghana (also a former British colony) in 1974. Hong Kong retains a separate international dialling code (+852) and telephone numbering plan from that of the mainland. Calls between Hong Kong and the mainland still require international dialling. The former British military drill, marching and words of command in English continues in all disciplinary services including all civil organisations. The PLA soldiers of the Chinese Garrison in Hong Kong have their own drills and Mandarin words of command. Hong Kong still uses the British date format. All statues of British monarchs like Queen Victoria and King George remain. Road names reflecting Britain's 156 years of control of the territory remain. The Chief Executive of Hong Kong is now chosen by an Election Committee of 1200 members (it was initially 400, then 800), who are mainly elected from small professional sectors and pro-Chinese business groups in Hong Kong. All public offices now fly the flags of the PRC and the Hong Kong SAR. The Union Flag now flies only outside the British Consulate-General and other British premises. Elizabeth II's portrait disappeared from banknotes, postage stamps and public offices. As of 2017, some pre-1997 coins and banknotes are still legal tender and are in circulation. The 'Royal' title was dropped from almost all organisations that had been granted it, with the exception of the Royal Hong Kong Yacht Club. Legal references to the 'Crown' were replaced by references to the 'State', and barristers who had been appointed Queen's Counsel were now to be known as Senior Counsel. A local honours system was introduced to replace the British honours system, with the Grand Bauhinia Medal replacing the Order of the British Empire. Public holidays changed, with the Queen's Official Birthday and other British-related occasions being replaced by PRC National Day and Hong Kong SAR Establishment Day. Many of the red British style pillar boxes were removed from the streets of Hong Kong and replaced by green Hongkong Post boxes in the Singapore style. A few examples remain, but have been repainted. British citizens (without the right of abode) are no longer able to work in Hong Kong for one year without a visa; the policy was changed on 1 April 1997. 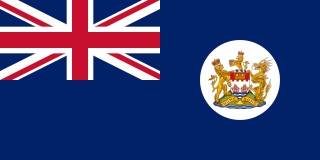 The regional anthem of Hong Kong was changed from "God Save the Queen" (national anthem of the United Kingdom of Great Britain and Northern Ireland) to "March of the Volunteers" (national anthem of the People's Republic of China). Secondary schools must teach in Cantonese, unless approved by the Education Bureau. Secondary education will move away from the English model of five years secondary schooling plus two years of university matriculation to the Chinese model of three years of junior secondary plus another three years of senior secondary. University education extends from three years to four. The new millennium signalled a series of events. A sizeable portion of the population that was previously against the handover found itself living with the adjustments. Article 23 became a controversy, and led to marches in different parts of Hong Kong with as many as 750,000 people out of a population of approximately 6,800,000 at the time. The government also dealt with the SARS outbreak in 2003. A further health crisis, the Bird Flu Pandemic (H5N1) gained momentum from the late 90s, and led to the disposal of millions of chickens and other poultry. The slaughter put Hong Kong at the centre of global attention. At the same time, the economy tried to adjust fiscally. Within a short time, the political climate heated up and the Chief Executive position was challenged culturally, politically and managerially. Hong Kong Disneyland, Lantau was also launched during this period. In 2009 Hong Kong suffered from another a flu pandemic which resulted in a school closure for two weeks. Hong Kong's skylines have continued to evolve, with three new skyscrapers dominating, each in Kowloon, Tsuen Wan and Victoria, Hong Kong. The 415 metre (1,362-feet) tall 88 storey Two International Finance Centre, completed in 2003, previously Hong Kong's tallest building, has been eclipsed by the 484 metre (1,588-feet) tall, 118 storey International Commerce Centre in West Kowloon, which was topped-out in 2010 and remains the tallest skyscraper in Hong Kong. Also worth mentioning is the 320 metre (1,051-feet) tall Nina Tower located in Tsuen Wan. Eight additional skyscrapers over 250 meters (825 feet) have also been completed during this time. Occupy Central with Love and Peace (OCLP; 讓愛與和平佔領中環 or 和平佔中) was a single-purpose Hong Kong civil disobedience campaign convened by Reverend Chu Yiu-ming, Dr Benny Tai Yiu-ting, and Chan Kin-man on 27 March 2013. Its aim was to pressure the PRC Government into reforming the systems for election of the Hong Kong Chief Executive and Legislative Council so as to satisfy "international standards in relation to universal suffrage" as promised in the 1984 Sino-British Joint Declaration and Article 45 of the 1997 Hong Kong Basic Law. Its manifesto called for occupation of the region's central business district if such reforms were not made. Upstaged by the Hong Kong Federation of Students (HKFS) and Scholarism in September 2014, its leaders joined in the Occupy Central protests. The number of impoverished Hongkongers hit a record high in 2016 with one in five people living below the poverty line. ^ CIA gov. "CIA." HK GDP 2004. Retrieved on 6 March 2007. ^ Hong Kong: report for the year ... Government Press. 1970. p. 219. ^ Grolier Incorporated (1999). The encyclopedia Americana, Volume 14. Grolier Incorporated. p. 474. ISBN 0-7172-0131-7. In Hong Kong, the Tanka and Hoklo peoples have dwelt in houseboats since prehistoric times. These houseboaters seldom marry shore dwellers. The Hong Kong government estimated that in December 1962 there were 46459 people living on houseboats there, although a typhoon had wrecked hundreds of boats a few months earlier. ^ Scholastic Library Publishing (2006). Encyclopedia Americana, Volume 1. Scholastic Library Pub. p. 474. ISBN 0-7172-0139-2. ^ The Encyclopedia Americana, Volume 14. Grolier. 1981. p. 474. ISBN 0-7172-0112-0. ^ Info Gov HK. "Hong Kong Gov Info Archived 18 April 2007 at the Wayback Machine." History of Hong Kong. Retrieved on 16 February 2007. ^ International Substance Abuse library "http://www.drugtext.org/library/books/opiumpeople/opiuminthefens.html" Retrieved on 26 March 2011. ^ Wordie, Jason (2002). Streets: Exploring Hong Kong Island. Hong Kong: Hong Kong University Press. pp. 74–75. ISBN 962-209-563-1. ^ "Celebrating two lives well lived : Featured OTT : Videos". Archived from the original on 4 July 2015. Retrieved 24 September 2014. ^ SUN, Toronto; Share Life, love and service Tumblr Pinterest Google Plus Reddit LinkedIn Email; Tumblr; Pinterest; Plus, Google; Reddit; LinkedIn; Email; shooting, NewsWoman badly hurt in Etobicoke condo; cause, NewsPOLAR PLUNGE: Cops brave cold in Lake Ontario dip for 'special'; cold, NewsWHEELIE BIG HEARTS: Cops rescue wheelchair-bound man from; ID'd, NewsCRIME SCENE: Fire doused; crook sought; murder victim (7 April 2012). "Life, love and service - Toronto Sun". ^ Wei, Betty; Li, Elizabeth (2008). Culture Shock! Hong Kong. New York: Marshall Cavendish Editions. p. 44. ISBN 978-0-7614-5482-3. ^ "Hong Kong - Buildings - EMPORIS". www.emporis.com. ^ "Poverty in Hong Kong hits record high with 1 in 5 considered poor". South China Morning Post. 17 November 2017. Hayes, James (1984). "Hong Kong Island Before 1841". Journal of the Hong Kong Branch of the Royal Asiatic Society 24: 105–142. Ngo, Tak-Wing (1 August 1999). Hong Kong's History: State and Society Under Colonial Rule. Routledge. p. 205. ISBN 978-0-415-20868-0. Siu-Kai, Lau. "The Hong Kong Policy of the People's Republic of China, 1949-1997." Journal of Contemporary China 9.23 (2000): 77-93. Tsang, Steve (1995). Government and Politics: A Documentary History of Hong Kong. Hong Kong University Press. p. 312. ISBN 962-209-392-2. Dr Howard M Scott "Images of Hong Kong - Journal"
The Treaty of Nanking (Nanjing) was a peace treaty which ended the First Opium War (1839–1842) between the United Kingdom and the Qing dynasty of China on 29 August 1842. It was the first of what the Chinese later called the unequal treaties. Hong Kong Island is an island in the southern part of Hong Kong. It has a population of 1,289,500 and its population density is 16,390/km², as of 2008. The island had a population of about 3,000 inhabitants scattered in a dozen fishing villages when it was occupied by the United Kingdom in the First Opium War. In 1842, the island was formally ceded in perpetuity to the UK under the Treaty of Nanking and the City of Victoria was then established on the island by the British Force in honour of Queen Victoria. Tung Chung Fort is a fort located near Tung Chung, on Lantau Island, in Hong Kong. Close to Tung Chung Road, the fort is surrounded by the villages of Sheung Ling Pei (上嶺皮) and Ha Ling Pei (下嶺皮). It has a companion Tung Chung Battery on the coast. 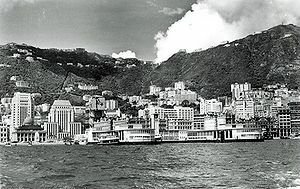 Hong Kong (1800s–1930s) was a period largely dominated by the British Empire. After invading the territory in 19th century during the Opium War, the British gained land in a series of unequal treaties. Hong Kong became one of the first parts of East Asia to undergo industrialisation. New Kowloon is an area in Kowloon, Hong Kong, bounded in the south by Boundary Street, and in the north by the ranges of the Lion Rock, Beacon Hill, Tate's Cairn and Kowloon Peak. It covers the present-day Kwun Tong District and Wong Tai Sin District, and part of the Sham Shui Po District and Kowloon City District. The transfer of sovereignty over Hong Kong, commonly known as the handover of Hong Kong, was the transformation of control over the United Kingdom's then colony of Hong Kong, pursuant to which it ceased to be a British Dependent Territory and became instead a special administrative region of the People's Republic of China on 1 July 1997. The returned territory comprised Hong Kong Island and the Kowloon Peninsula, which were respectively ceded to Britain in 1842 and 1860, as well as the New Territories, which were leased for 99 years from 1898. The transfer was arranged to coincide with the expiration of this lease on the previous day, 30 June 1997. Punti is a Cantonese endonym referring to the native Cantonese people of Guangdong and Guangxi. "Punti" designates the Cantonese-speaking locals in contrast to the other Yue Chinese people such as the Taishanese; Hoklo people from Fujian who spoke the Hokkien dialects; the Hakka immigrants who arrived in Guangdong and Guangxi during the Qing dynasty; and ethnic minorities such as the Zhuang people of Guangxi, and the boat-dwelling Tanka people who are both descendants of the Baiyue - although the Tanka have largely assimilated into Han Chinese culture. The Airport Core Programme was a series of infrastructure projects centred on the new Hong Kong International Airport during the early 1990s. The programme was part of the Port and Airport Development Strategy, commonly known as the Rose Garden Project. The 1990s in Hong Kong marked a transitional period and the last decade of colonial Hong Kong. The Cantonese people are subgroup of the Han Chinese people native to and/or originating from the provinces of Guangdong and Guangxi, in southern mainland China. Although more accurately, "Cantonese" refers only to the people from Guangzhou and its satellite cities and towns and/or native speakers of Standard Cantonese, rather than simply and generally referring to the people of the Liangguang region. The Cantonese people share a common native culture, history, ancestry and language. They are also referred to as "Hoa" in Vietnam, "Kongfu" in Malaysia and "Konghu" in Indonesia.". The Convention between the United Kingdom and China, Respecting an Extension of Hong Kong Territory, commonly known as the Convention for the Extension of Hong Kong Territory or the Second Convention of Peking, was a lease signed between Qing China and the United Kingdom on 9 June 1898. The Ministry of Foreign Affairs of the Republic of China now keeps the original copy of the Convention in the National Palace Museum in Taiwan. The History of Hong Kong under Imperial China began in 214 BC during the Qin dynasty. The territory remained largely unoccupied until the later years of the Qing dynasty when Imperial China ceded the region to Great Britain under the 1842 Treaty of Nanking, whereupon Hong Kong became a British Colony.